Paying By Check - Please make checks payable to: GSC SHRM, PO Box 2606, Ventnor City, NJ 08406 – ATTN. : GSC-SHRM Conference. Also, please be sure to include the participant's name or confirmation number in the memo of the check so payment can be applied correctly. Printing Your Invoice - Instructions to download your receipt and invoice are provided in your confirmation email. You may also print your invoice from the confirmation page. Cancellations - In the event of a cancellation, there is a $25 cancellation fee if you have to cancel for any reason, except medical emergency. No cancellations will be accepted within 1 month of the conference, without a medical emergency documentation. Corporate Discount - When registering 4 or more attendees from the same company a $25 discount will be applied. Registrants must register as a group and be employed at the same company. support the HR profession. 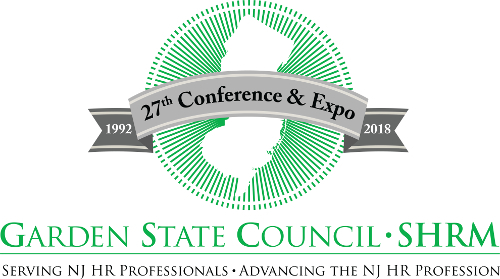 The GSC is a state-level affiliate of SHRM & supports HR initiatives throughout NJ.